What'SUP? What's up is SUP - Stand Up Paddleboarding. Now everyone can see what it feels like to be a pro surfer and command the waves to yield to your will - well almost. Take a stand-up paddleboard lesson and see for yourself just how easy and enjoyable it is to walk on water. 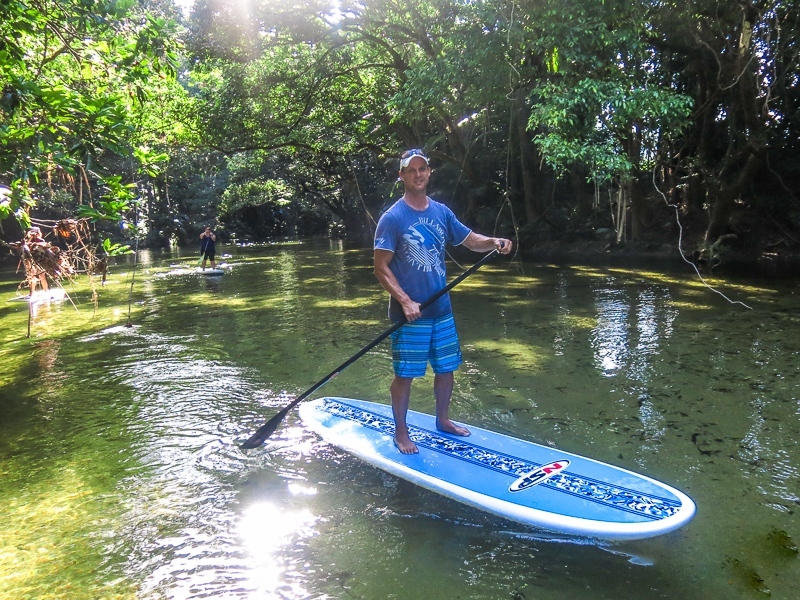 You will glide along the beautiful one-and-ONLY famous Hanalei River. This is a glorious wild life reserve featuring nesting birds, turtles and even buffalo! ​The river is a SLOW and LAZY ride with close to zero current and is mostly shallow. The deepest section is only 10 feet just where you cross underneath a hundred-year old iron and wood bridge overhead. This is very tranquil setting which is perfect for a safe and EASY stroll! Lessons are limited to no more than 5 people at a time. Check in time is 15 minutes prior to your lesson and you have 90 minutes to ride the river with your instructor. Price: $75.00 for group rate. $100.00 for private.